The Portuguese can be described as easy-going, welcoming and polite, known to be willing to go out of their way to help others. You and your children will enjoy experiencing this friendliness, attentiveness and other common cultural attributes when you host an au pair from Portugal.And, as people in Portugal respect authority and look to those above them for guidance and decision-making, you can be assured that your Portuguese au pair will likely appreciate clear guidelines from her host family to integrate into your way of life. In Portugal, almost all children under the age of three are looked after by family or informal babysitters. Nurseries and child care centers are not common, which is typical of a country with a lot of financial support for stay-at-home mothers. 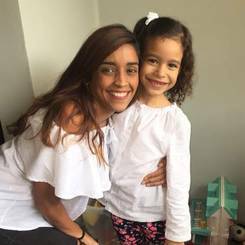 In general, your Portuguese au pair will have a lot of babysitting experience from looking after her siblings, cousins and other relatives. With over 30 years of experience worldwide, EurAupair has successfully connected many host families with their ideal au pairs. We’re excited to give you experience with one of our Portuguese au pairs. Over 10 million people currently live in Portugal. Nearly half a million of these people live in Lisbon, the nation’s capital. Portugal has a rich history. While the country became a kingdom in 1139, the city of Lisbon is older than Rome and is one of the oldest cities in Europe. Many languages are spoken in Portugal besides Portuguese, including English, Spanish and French. Au pairs are a fairly new concept in Portugal. The job market often opens for Portuguese au pairs after they come home. Family is the foundation of Portuguese social structure and forms the basis of stability. The extended family is quite close, and loyalty to the family comes before other social relationships. Young people stay with their parents until they get married or find a job that enables them to have their own place. Sometimes grandparents live in the same house as the rest of the family. Children are very much appreciated; not only the parents but also the older siblings look very carefully after them. When the parents go out, they normally take their young children with them. That is why Portuguese children go to bed later than they do in countries like the USA. In Portugal, punctuality is not seen as important. In fact, it is polite to arrive five minutes late, so punctuality might not be the au pair’s top priority. Portugal is a generally conservative nation, particularly in the northern part of the country. You’ll likely find that your au pair is initially reserved and avoids displaying exuberant behavior. Handshakes are a common greeting upon an initial meeting, while women who are close friends often kiss each other on each cheek from right to left. In order to obtain your driver’s license in Portugal, one needs to pass a theoretical and driving exam, after a minimum of 32 hours of driving practice. People of at least 18 years of age will be allowed to drive. Of course, it is always recommended that you discuss your driving needs when interviewing au pairs. Similar to in the U.S., the Portuguese begin the school year in September and end in June.Education in Portugal is free and compulsory until the age of 18, when students complete the 12th grade. English is an optional subject in elementary school, as of 5th grade all students need to study the English language. In average, the English level of our Portuguese au pairs can be described as good. They usually feel more comfortable with written English, at least at the beginning of the au pair program. A large percentage of Portuguese women attend university, and those who don’t pursue higher education go directly into the workforce or pick up a trade. 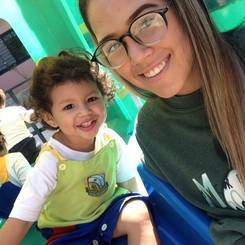 Many young women appreciate the educational opportunities granted to them by the au pair program. Over 80 percent of the Portuguese population professes faith in Roman Catholicism. However, most young people don’t practice their faith regularly, and only about a third of the population regularly attends religious services. Most Portuguese individuals eat meat — especially fish — and you’ll find that vegetarianism is rather uncommon. They traditionally prefer heavy dishes made from fish and seafood, beef, dairy, fruits and vegetables. When you're inviting someone to live in your home and care for your children, you want it to be a great fit. At EurAupair, we understand that you need to develop a bond with your au pair to have the best relationship you can. 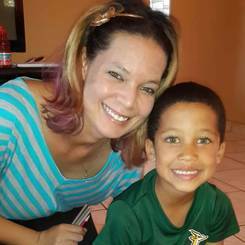 If you're ready to begin looking for an au pair, search through our many profiles. 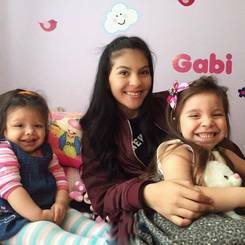 There, you'll find their past experience and why they're interested in being an au pair. 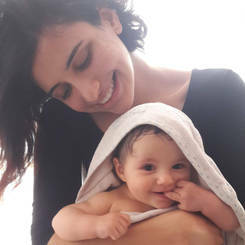 When you find women who you believe are a good fit for your family, you can contact them to see if it would be agreeable for both you and them. Log in to your account or contact us today to view their full profiles and get in touch with them! From 2011 to 2016 I was taking care of Pia (12), Mirella (10), and Maxima (8) once a week in the evenings, playing with them, helping with homework, getting them ready for bed and putting them to sleep. 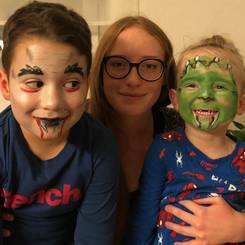 Since 2011 I have also occasionally babysat Lukas (13) and Smilla (12), cooking dinner for them, helping with homework, playing with them and bringing them to bed. Since 2016 I look after Niko (5) once a week in the evening, also teaching him a little bit of piano. And I sometimes babysit Raphael (3) in the evenings. I did two practical trainings at a pre-school with 20 kids ages 3-6. I also work part-time at a shop that sells Bavarian clothes and help parents pick the right outfits (0-15 years old) and sometimes on the weekends too doing face-painting and other activities. Running, swimming, climbing, boxing, riding a horse and a bike, archery. I love working with children and I love traveling. I want to become an au pair, because I want to discover the USA. I want to live inside of an american family, go through all the holidays together with you and just learn something new about your country. I always wanted to work with children because seeing them growing up and laugh is just a great feeling. I think my strengths are that IÂ´m quite patient, creative and that I always try to make kids smile, because that makes me smile. I babysat Miguel (2) on weekdays for 8 hours and sometimes on weekends as needed for about 4 months in 2011 and 3 months in 2012. I helped teach him basic figures and letters and played with him. From May to August 2017, I babysat Samuel (10) from Monday through Thursday for 7 hours. I would prepare meals and snacks for him, bathe and dress him, and monitor his game and TV time. Finally from June to July 2014, I babysat Juan David (5) on weekdays for 7 hours. During this time, I also made meals and snacks for him, got him dressed, and tended to his general needs. Listening to music, dancing, watching TV series from different countries, learning new languages, skating, soccer, and tennis. 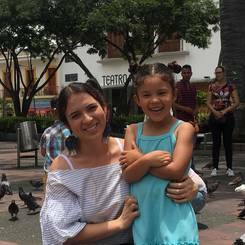 I want to become an au pair because of the great experience offered by this opportunity to live in another country with another beautiful family, and learn a lot from them, their culture, and their children. I'm delighted to have the opportunity to improve my English, meet your lifestyle, your habits, and your country. I love spending time with children and learning everything they can teach me every day. To me, it's wonderful seeing them growing up with us and learning, little by little, to be more independent. From Feb 2015 till November 2016 I took care of Miguel (7) about 8 hours a week during family gatherings. I would prepare his food, help with homework, play with him, etc. I worked at different schools off and on since 2016 for 2 to 4 months each, a few hours a day. I worked with students 7-15 years old, preparing class, teaching English, offering guidance to the children. I am born to take care of children, I want to share with a new family, to know another culture and friends, I want to improve my English level. I think I can give a lot of my, since I have knowledge in care and most of all as a teacher. I watched Joao (7) and Mariana (9) from September to November 2014 6 hours a day, everyday. This included taking them to the bathroom, feeding them, and taking care of them during the class. From December 2014 to January 2015, I worked at a school with children ages 3 to 8 years old, everyday. Here, I fed the children, changed diapers as needed, bathed them when necessary, and helped change their clothes. I taught English at a school with 3 to 8 year olds, one day a week from September 2016 to January 2017. I taught English in a dynamic way, helped the children go to the bathroom, and prepared activities for them. Lastly, for one day a week from March 2014 to December 2017, I taught English and Portuguese at a school that had 13 to 18 year olds. Here, I also helped create and prepare differentiated classrooms. Reading, listening to music, going out, going to the movies, going to museums, dancing, cooking, creating stuff that requires manual practice. 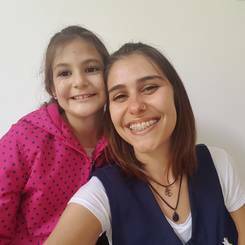 I would like to be an au pair because I have a degree as a language and literature teacher, so it is an opportunity to improve both basic abilities required for my occupation: children and English. I am also interested in learning American Sign Language for Masters or Doctorate research in the future. Going to the USA is more than studying English; it is getting in contact with new experiences and taking care of children, which I already love. And I am sure that I have enough experience and responsibility to become an au pair. First, from February 2008 to May 2009, I babysat Maria (10mths) on Saturdays and Sundays for 8 hours per day. My responsibilities included making her breakfast, bathing her, heating up her lunch, walking her in the park, changing her diaper, and preparing her milk. From October 2012 to January 2014, I babysat Esteban (5) for 16 hours on weekends. I was in charge of picking him up, making him lunch, helping him with his homework, and taking him to the park to play with friends. Finally, I babysat Amelie (2) for 2 years on weekends from August 2014 to May 2016. This included preparing her breakfast, taking her to kindergarten, bathing her, dressing her, taking her to the park, and making her lunch. photography, hiking, going to the gym, traveling, visiting my family, going out with my friends, and skating. Mainly, I want to be an au pair because I want to learn the language and what better way to do it than in this program. I love children, I like to share with them, I want to know a new country and culture, and I also want to be independent. I consider myself creative, respectful, good with crafts, and responsible. I am first aid certified and I graduated from school with a degree in public accounting. I watched Abril (3) from March 2015 to June 2018 2 times a week. This included playing games with her, helping her take a shower, helping her get dressed, and cooking and feeding her. From January to May 2017, I babysat Ignacio (6) 5 times a week. I was in charge of changing his diapers, feeding him, playing with him, and putting him down for naps. Lastly, I babysat Camila (3) from May 2015 to August 2017 3 times a week. This included playing with her, taking care of her, and feeding her. In February and in March 2019 I babysat a 1 month old baby, 2 times a week, 3 hours per day.